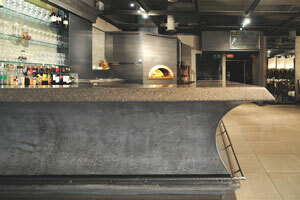 Concrete is on the rise in design today. But presented at base level it can feel a bit cold and uncomfortable. So how do you make this work in a bar? There are many ways to set it up correctly. There are also many ways to cause problems for your customers by misusing it so we’ll be looking at both sides of the equation so that you can see the reward and risk factors in this special situation. Outdoor Furniture can also be made in concrete but needs special additions. Pairing it with other materials can really help things. For example a wood bar connected with concrete sections not only insures that you have an incredibly durable area but also that it gives a singular, amazing look that you cannot get by just simply having one material there. By far the biggest advantage of using concrete is that you can pour it to almost any shape. If you have a custom designer they can make sure it’s poured into the exact sort of mold that you would like. Hiring an artist to handle all of this can be expensive but it’s often very useful. It’s easy to see why you would want to do something like this. The obvious drawback is that, at base, it is neither beautiful nor comfortable. Adding cushions, covers or even a coat of paint can easily help fix all of this. It’s a simple fix that works very easily. If you decide not to do any of this you could end up driving people off from your setting because they aren’t interested in dealing with a cold, uncomfortable setting. It’s a risk you take with any new design and you can’t be afraid to fail. The quality of this material has gone up significantly from where it was in the past. So you can rest assured that it’s an investment which will last for years. It won’t take a ton of money either because even the best molds of all this will not break the bank for you. So if you need to save on some massive style this is the best possible way to do it. When looking at decorating your own bar you should also take notes from others. Concrete Beach Brewery used several pieces of advice which we gave you. While they obviously have the singular material as the focus they added many different touches which made the whole package look much better. The great thing about concrete is that you can very easily take over a different establishment and fill it with new outdoor furniture. Since it is so durable even years after everything was poured in it can stay looking great. Due to this you can easily take over a warehouse or other bar. It’s very easy to re-finish such an area and re-use it as well. By combining all the cushioning and small additions you can create a truly unique setting for your bar that stands out while still keeping your wallet secure. 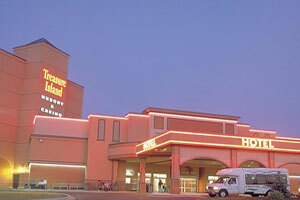 The Treasure Island Resort and Casino is one of the most famous spots to vacation and relax with a drink in the entire world. Recently they’ve decided to redesign their entire establishment. They are far from the first bar/resort to do this but it’s always important to keep examples like this in mind. For many it’s a sort of redesign that they could never hope to afford but that’s what makes it rare and interesting. So we’ll be looking at how and why they are doing all of this today. Demand is of course the driving factor for this. With a more peaceful world than we’ve ever had in the past and more money to burn, people want to enjoy life. They want to spend huge amounts of money on expensive drinks at a bar and lounge back on luxurious outdoor furniture. As long as things keep going in this direction we’ll continue to see demand for things like this rise as well, long into the future. Their restaurant outdoor furniture and other fixtures have been heavily upgraded of course. New finishes and massive repairs have become a part of this massive redesign. Fees for all of this can really add up over the years or even come in one big burst if you decide to replace as many items as they have done in this situation. A loan may be in order in some cases. Additional amenities are a big draw here as well. A fitness center, spa and salon are all part of the new updates. If you run a bar of any sort or a vacation resort this is essential. It’s all the little perks, the bells and whistles, which really impress people and generate positive word of mouth for any establishment. If you cannot think of any then you should go over your current installation. Water features are a huge part of all this as well. Slides, lazy rivers and zero depth pools are all important features here. Having a place to cool down is especially important for areas with high temperatures. People will head to any area that offers a bit of relief from the brutal sun when the temperatures shoot through the roof. The upgrades are coming at the cost of $19 million. So it’s not for those without a lot of money to burn on an amazing addition. If you run a resort them you may end up spending some amount of money like this very easily. Be sure to watch your spending if you have any sort of setting like this as well. The final lesson is that you need to have enough space to actually do your best design work as well. Unless you have a lot of space for a large bar or resort atmosphere you just aren’t going to get things done. While small settings can work for some apartments and casual bars it’s not the sort of thing you need for the massive, large-scale projects that the most productive people need. The Spare Key is a small bar themed just for that, a spare key logo on the wall for one. Small bars like this are extremely popular today as they have been in the past. So how do you bring that same appeal with your design? If you’re going for a specific look then it’s easy and you can fairly easily implement it in your own building as well. It’s creating the total package and mixing everything together that can be very difficult as well. As for the Spare Key specialty drinks are what set it apart. Most of them are out-of-the-ordinary and push the limits of what people expect. You would do well to do the same for your own drinks and perhaps even pair each one with a room or piece of furniture that knocked out expectations and really amazes anyone who uses it. Surprising your audience is essential both for artists and business owners. One part of this style is that it needs to be lived in. 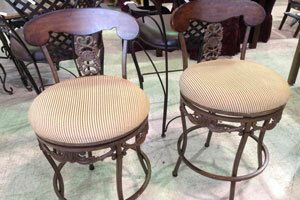 Having a few marks or worn-down areas on a chair or table can actually give it a wonderful charm. It’s something that you can’t pay for but you can get over time. You may even want to look into some items which have been used with other establishments as well. You can often find these at auctions and other special settings. Originality is also a big deal. In the case of your furniture this means having a sign and a few other pieces which no one else has. All your aspects from the lighting to the simple placement of each item are things you need to work on. Be sure to study the local style and make sure that you do not copy anyone else. This can be difficult if they are setting their places of business up in a similar manner because it is what people want in the area. Inspiration from their customers is just one of many areas that they draw their work from. Be sure to take their comments so that you can fully understand what they want. It’s how you manage to keep your business going after catering to their tastes. Cedar can be a classy choice for this style of bar as well. As with many establishments they go with a subtle outdoor arrangement with their ‘outdoor patio furniture. Sometimes when people want to casually have a drink less is more. Just having a bit of comfortable seating is all many people want after they have had a hard day at work and want to just let themselves unwind. Many of your customers will fall in this sort of area so be sure that they can do that. Finally, the name is very important. Names like the Spare Key and the Question Mark stand out. When it comes to a small speak-easy type bar you need to make an impact before they even enter. Once again it all comes back to creating an amazing atmosphere. Every piece works together in order to create an amazing and coherent whole that people enjoy. Rooftop bars are extremely popular in the modern day for so many reasons. The obvious one is the fact that there is a limited amount of space in many big cities. Due to this trend and quite a few others it’s very important to look into this if you can afford the prices for the rooftop setting. It gives you an amazingly beautiful setting no matter where you are in the world. And with minimal effort on your part you can keep every aspect of the setting looking beautiful. Fresh air is a huge part of the charm. Natural views combined with sun and oxygen creates a lively atmosphere which is perfect for any party. It may not fit in with high-class dining but it is excellent for those who want to draw in a large crowd. Everyone enjoys getting a bit of sun and air at times. Once again we return to a central theme, learning from other bars. Even if you do not have a rooftop bar there are so many reasons for learning from others. One is that you could gain a bit of architectural or artistic inspiration from all of this. While you certainly don’t want to copy everything they may have a sort of event or drink that could work for you. Perhaps even some of their chairs or tables would work in your setting as well. There are obvious concerns about these if you live in an area where harsh weather or pollution is common. It can actually make this sort of setting a bad choice. Unless you can afford to enclose everything in glass this can get very troublesome for you, there have been some recent improvements in bubble tents you can look into to keep the style looking really great. Shelter is quite valuable in certain parts of the roof as well. There will of course be a few times where the weather gets too uncomfortable for anyone. Having an overhang or other small area to keep everyone happy in is very important as well. Most bars of this type also want a party atmosphere. Having a bit of jazz music or a regular party event day could really go a long way to impress people and keep them coming back. The small touches which keep people interested really matter. Make sure that you create the same sort of feeling as well. Your outdoor dining tables need a unique look as well. Perhaps they could have some embroidery which has a sky motif. Or you could go with a unique metal setting as well. 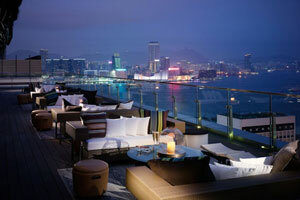 Be sure to have it stand out from the many other rooftop bars which dot the city as well. You are in competition with all of them as well, at least on some level. Special themes also work well with these bars. For example a fitness bar is a great choice for some people. Because you’re already outdoors you can simply tell everyone about the event and you can really get down to it. Today we’ll discuss buying discount furniture from many sites around the internet and even in local areas. It’s a great choice for those just starting out and environmentally responsible, which matters quite a bit for many people. So how do you find the gems in what amounts to a very large amount of less-than-great material? We’ll be discussing that as well. There are so many ways for you to dig through it all and find the perfect item for you. The biggest factor which makes this a good choice is that the supply far outstrips the demand. In many areas of America and some parts of Europe a rich population often gives their items away when they are finished with them. As such you can find some truly amazing items in stores that you would never expect to see. This happens pretty regularly as well which gives you many opportunities to get some choice pieces. In many articles writers discuss the prevalence of bar furniture in small shops. Why does this come up so often though? Another reason is that after many bars close they have to send their items somewhere. They can’t put all of them in other businesses or their homes so they sell them off to consignment shops. Duet to his you may even find items which were selected brand-new to be put in other bars which could have their own special choices. Searching for items online is also a good choice. You can find a lot of overstock pieces and other items that there are no local buyers for. You can even find some amazing art pieces from small-time artists trying to make a living. Just keep in mind that you will be charged a shipping fee for all of this. Perhaps even one that is much more than you can really afford. It’s a complicated sort of setup there. In some cases contemporary outdoor furniture can also be found here and there but it’s much harder to get. Most people do not want to give up on an item which they bought very recently. In this case you probably want to look online in order to figure out the best place to get some current items. Another form of this is to buy from local businesses that are closing or are clearing items out. This could prove to be even more difficult than before but it’s a great option for those who need to gather a lot of items in a short amount of time. So you may want to look into it even though it isn’t something which happens all the time and you would need to get there at the right time. It’s also great for creating special styles. No matter which method you go with there are dozens of ways to get affordable furniture for your bar. It’ll pay off if you do your homework and find several sources to draw items from. It’s how the best retailers and bar owners make their money most of the time and you can benefit as well. Everyone wants to have an atmosphere which is warm and inviting for their friends or family. Creating this in your own backyard is easier than ever in recent years due to so many additions. Due to this you should look into your options there and figure out which ones work the best for you. You should also put together your own touches and we’ll discuss how to do that as well. It’s important that you connect with those you want to experience the full feeling. When we say warm we mean it in a sense of feeling or atmosphere. You can learn a lot from individual decorators as well. Soft cushions and bright colors are two of the simplest ways you can create this. Creating an environment where people feel alive is something that all great outdoor designers do at some point and this can be easily achieved with a bit of work. For those who serve food and drinks those can be big parts of the design as well. Having comfort food has the same effect as having comforting items. In both cases it’s a great way to improve the overall feel of any setting. Make sure that your furniture matches up with whatever you are serving and the impact will be greatly heightened overall. It’s an advanced technique that you can learn with a bit of effort. Nature plays a huge role in all of this as well. You should have at least a few open areas in which the sun shines down or you can see the stars. Another benefit is that fragrances wafting in from the natural environment, such as flowers or honeysuckles, go a long way into creating the beautiful garden setting which you always wanted and that your loved ones will enjoy as well. Outdoor Bar Stools can use some additional decoration and cushioning as well. The softer and more comfortable you make things the better at ease people will be when they are sitting back and relaxing. In cases like this you can even include a hammock or other non-traditional seating arrangement. Adding an aspect of novelty goes a long way to improving your décor and making people take notice as well. You want to have a bit of shade as well, as many authors note. There should be an overhang or other setting in which you can relax in when the sun is beating down or when a storm is causing problems for those you care about. It’s absolutely essential for really creating the perfect setting for entertaining, which is the final goal for most of us. This may be at odds with creating an ultra-modern, party atmosphere. Putting all of these factors together is what matters in the end. No one part is going to fix everything for you. This is true of pretty much any project that you do around your home. If you keep that in mind when working on all of your future creations you can’t go wrong. You may have already seen this work in a few parts of your home already. Today we’ll be going over a very famous bar/restaurant in the Chicago area. In a city which is always full of lively people it can be hard to stay in business due to the sheer amount of competition. Only those who can bring some of the most impressive service in the world get to stay. That’s why we’ll be looking at Parson’s Chicken & Fish because of their interesting décor and fare. As always learning from the competition is the best way to make sure you stay on top. Parson’s is always a major favorite with any visitor. It’s often featured in various top lists as well. Quality food and drinks are a big part of this. Whether you are running a business or simply serving a bit for a few friends you need to offer food and drinks that are extremely high-quality as well. They became so popular by always listening to people and offering an incredibly great level of service every single day as well. Experimenting with dishes and sometimes some new design work is something they do as well. However they are quick to remove anything that does not work for clients. Feedback is very important so make sure to ask your guests what they really want every single time they visit. It’s the only way to figure out whether you’re actually doing the right thing with all of your choices. A setting which takes in the natural warmth of the area is also important. No matter what the weather is for your guests you need to create a setting in which they can relax. This may mean cooling things down in hot areas and vice avers. 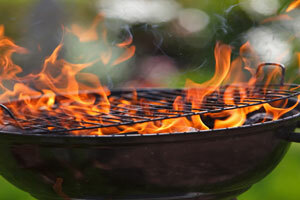 Some outdoor furniture holds the heat or cold much better than other so keep that in mind. Do your best to work with the natural area and customers will appreciate it. Patio Furniture is much more impressive than you’d expect for the name but it also has a home-style feel. 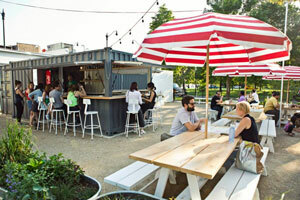 Picnic tables are part of the setting so that people can lounge back. Even in an area where everything is hyper-modern you should have a few comfortable items here and there. It can also be a huge, great way to stand out when it comes to a setting. When the classic isn’t commonplace, the classic becomes novel again. Another factor which sets the store apart is that from the outside it’s quite humble as well. While they have extravagant lighting and amazing dishes it looks quite standard, like a normal down-home bar until you sit down. So choosing your furniture and even architecture to make people comfortable goes a long way into creating your own singular style. Of course they do have a very clean and polished setting when you actually sit down. Each piece of furniture is perfectly maintained and improved each year. This is something we’ve stressed as important many times before but it’s still worth mentioning. Due to this it looks quite new and fresh despite some of the traditional pieces located within. Cascade Village is a very famous Ski Bar and Resort. They have an incredible number of different facilities which attract people from several hobbies including the normal skiing and beer tasting. A diverse portfolio of activities sets this place apart and it’s mirrored by a diverse decorative setting from area to area in the massive 118 acre section. Clearly there is something to be learned here both about business and furniture design from such a massive and popular resort. 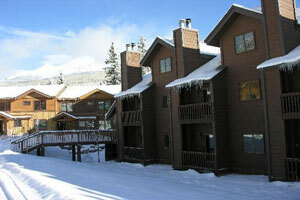 Many of those enjoying the slopes also live there all year long in condominiums and other homes as well. Having an area where people feel really safe is vital as well. Without this sort of feeling all of your design work could just go down the drain in no time. Be sure you have some sort of security in your home or business as well. This particular area is written about regularly by many travel and local critics as well. Generating this sort of buzz is something that you want to do as well. it gives you some extra publicity and is sometimes free. Just make sure that people enjoy it or you could see some serious bad press that you did not want. It’s a sort of double-edged sword here. Many of the events are also free which allows visitors to take a look at the overall complex and see what they could be missing. If you have an amazing setting with incredible outdoor furniture you might consider doing the same. Many people will come for the free diversion but stay when they find out they’ve really done something amazing with everything. There are also conference centers for those who want to relax while still doing a bit of business. Combining work and pleasure will allow the most important visitors to remain interested with more than just your outdoor furniture. Updates are also important from year to year. On that note each item in the area is quite resilient because it needs to keep up with constant use and the fact that snow is everywhere in the area. There are ways to set this up but it can be difficult to get all the perfect items without spending a huge amount of money. Fire Pit Tables also add an additional level of warmth and style to the setting. This is fairly standard for ski lodges today. We’ve always had fires in such settings but we can now control them in more ways than ever. Food is sometimes grilled up and served in settings like this as well so it’s quite impressive. Natural beauty is also a big part of the setting. The snowfall accentuates the amazing mountain setting and really helps create a better, all around setup. Do you have any natural beauty in your own setting that you can use to help compliment your furniture? You may be able to find some if you look briefly. It could be anything from the weather to a few songbirds nearby. This is harder in urban settings but can be done.